Reinforcing CRYPTO.com’s expertise with appointments of SVP, Head of Product, Lead Blockchain Engineer, and SVP, Risk Management. 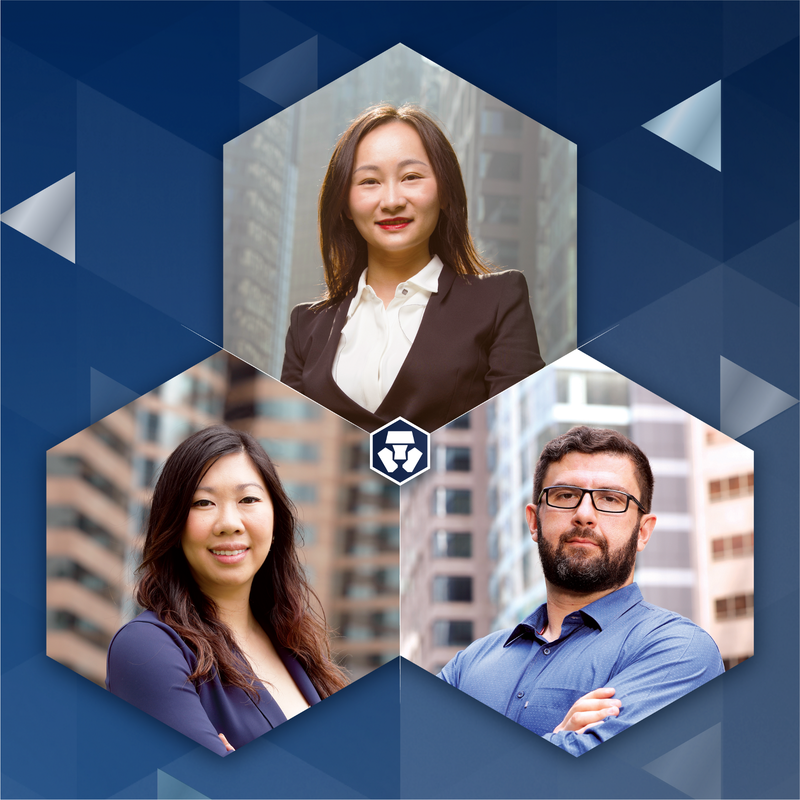 <HONG KONG, August 16, 2018> — CRYPTO.com, the pioneering payments and cryptocurrency platform, today announced a series of new hires with Adrienne Wong as Senior Vice President, Head of Product, Cerulean Hu as Lead Blockchain Engineer, and Ivan Stefanov as Senior Vice President of Risk Management. “Recruiting Adrienne, Cerulean, and Ivan to our team bolsters CRYPTO.com’s ability to offer innovative financial services products and ultimately power our mission of accelerating the world’s transition to cryptocurrency,” said Kris Marszalek, Co-Founder and CEO of CRYPTO.com. Adrienne Wong joins CRYPTO.com as Senior Vice President, Head of Product. She joins from fintech company Square where she managed global strategy and market launches for its flagship product, Square Point of Sale. She had also led growth and expansion efforts in the Canada, UK, Australia, and US markets. A former Deloitte strategy and operations consultant, Adrienne graduated from the University of California, Berkeley with a Bachelor of Science in Business Administration, Bachelor of Arts in Economics, and a concentration in Global Management. Cerulean Hu joined CRYPTO.com as Lead Blockchain Engineer with a strong background in both the blockchain and traditional financial services industries. In her past roles, Cerulean developed easy-to-use and robust financial products and systems. Previously, she was lead engineer at Equichain, implemented blockchain solutions at FINCOVA, led finance and trading systems development at ANX. Prior to that, she was responsible for developing trading algorithms at HSBC. Cerulean graduated from the University of Hong Kong with a Bachelor’s Degree in Engineering. Ivan Stefanov joined the CRYPTO.com team as Senior Vice President of Risk Management with more than 11 years of experience in risk management in different sectors of the online payments ecosystem. His background in digital wallets, working on international companies Skrill and NETELLER, allowed him the opportunity to manage large teams across multiple markets and enhance the existing fraud prevention and payments setup. Ivan also cofounded NOTOLYTIX, an innovative data processing startup that caters to all aspects of risk management.